Matte Black. Deep, dark black is a big trend in Europe and it’s starting to appear in homes here! I love the impact it makes when it’s paired with metal, like in this bedside lamp from Schoolhouse that I used in a boy’s room. Ridgely Studio Works that looks more like an installation than a sconce! Free-Form Lights. Sculptural designs are taking lighting to a more artful place! 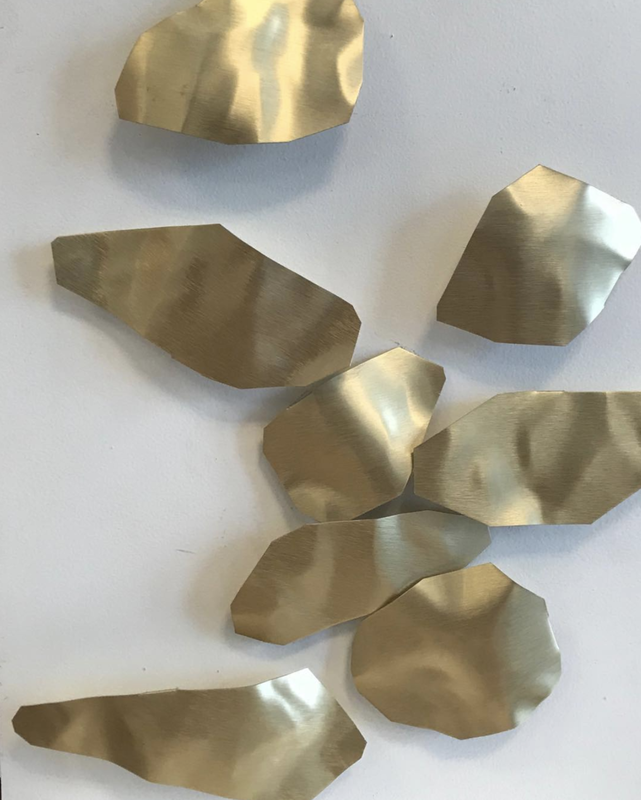 I recently worked on a custom commission with Ridgely Studio Works that looks more like an installation than a sconce. Wow-Worthy Chandeliers. This Kelly Wearstler design I used in a master bathroom takes the starburst or Sputnik design to a whole new level! Designed in that oh-so-trendy black, the chandelier adds drama to the decor. LED Lights. LED has been a major trend for lighting manufacturers for a while, but only recently have they made them look as gorgeous as they are efficient! I’m so in love with these gorgeous gold rings from the French company Le Deun Luminaires! Traditional Shapes. 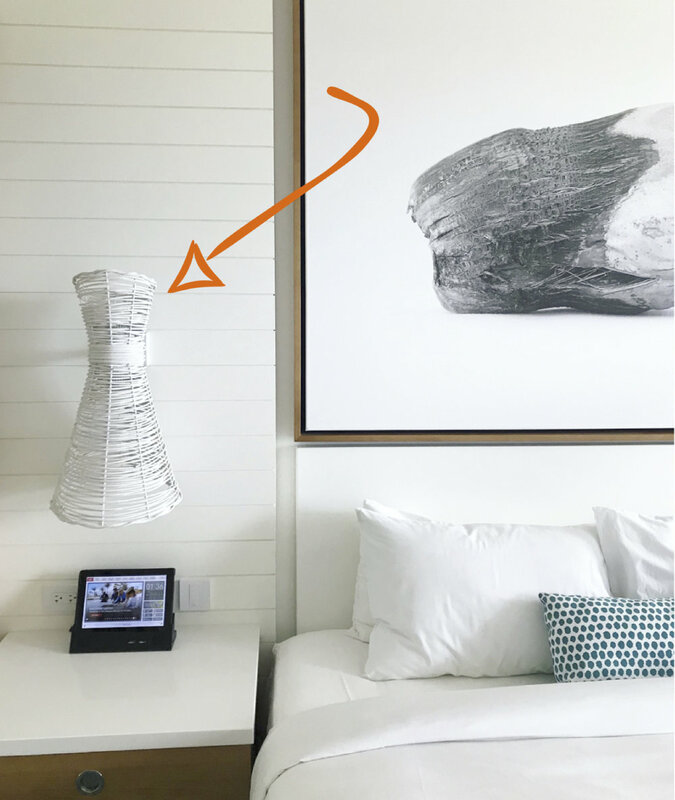 In table lamps, traditional shapes like the ginger jar you see here from Get Lit are coming back in a big way. The green colour definitely speaks to me, too! Bold Color. 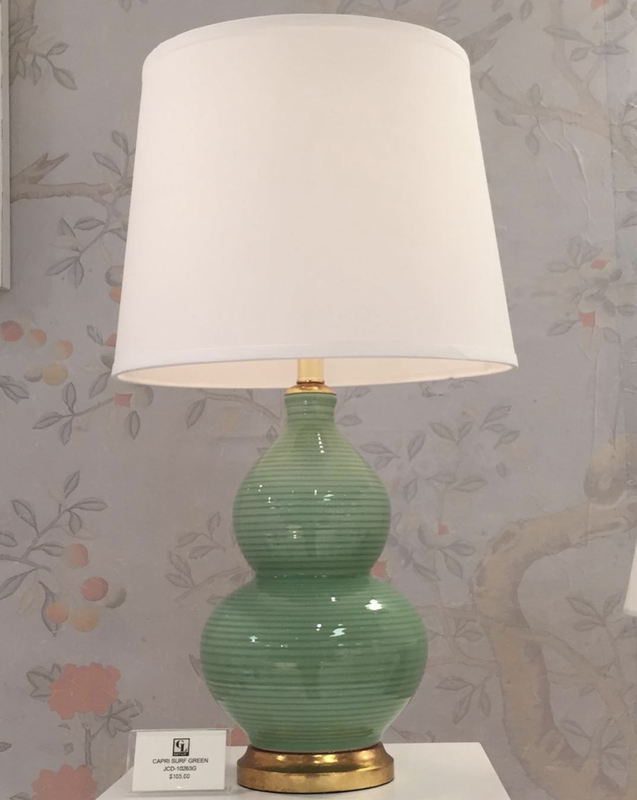 Speaking of colour, bright pops of colour are being featured not just on the lamps bases, but also on the shades, as you can see in these pretty designs from Primavera. Use these ideas to light up your fall and winter days! And if you’re here in Canada, I wish you and your family a very happy Thanksgiving!